An Awesome Waterview Town Home w/ NO HOA so SHORT TERM RENTAL’S ARE ALLOWED. Enjoy Gorgeous sunsets from your very large back deck or from the comforts of your screen in porch. 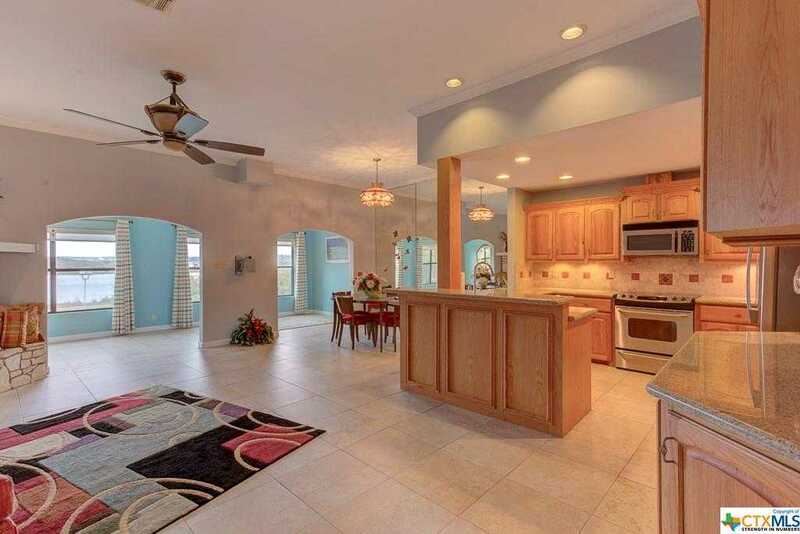 Remodeled in 2008 including all new windows and treatments, flooring, custom Kitchen cabinets and Granite counter tops. 2 HVAC units, Heat Pump and water softner replaced in 2010, Hot water heater in 2016. Interior painted and all wood decking stained in Nov. 2018. Very low yard maintenance and it is on public sewer, so no septic to worry about. All you need to do is come and relax in your new home. The lot is level walk for easy access into the water. These homes don’t come on the market very often so hurry before you miss out on this opportunity. You won’t be disappointed. Please, send me more information on this property: MLS# 367777 – $315,000 – 1036 Parkview, Canyon Lake, TX 78133. I would like to schedule a showing appointment for this property: MLS# 367777 – $315,000 – 1036 Parkview, Canyon Lake, TX 78133.